The current trend in the Crypto market prices is comparable to one that took place four years ago. On December 4, 2014, bitcoin prices reached the highest price of $1,236 per BTC but then dropped to $225 per coin on June 1 the following year. In 2017, the coin reached $19,600 and had since lost that value considerably. Although the mainstream (MSM) is reporting of the losses that those who bought the coin in December have incurred, they are not mentioning that the losses are less severe to those experienced in 2013. In December 2013, the first big BTC bull run was seen when the prices hit over $1,200 per coin. By June 1, 2015, the prices dropped to $225 per BTC meaning that those who purchased the coin at the all-time-high (ATH) have made losses of about 81.7 percent. That year’s bull run was not only faster than that of 2017 but was also shortlived as the $1,200 price lasted only a few months. In 2017, the bull run was continuous since the BTC price topped 2013’s ATH, lasting for a year. Moreover, the emergence of more tokens reduced BTC dominance from 90 percent in January 2017 to less than 38 percent at the beginning of this year. Currently, those who bought BTC at the ATH have made a loss of about 69.3 percent. 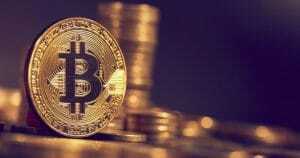 It is common for people to ask which was the right to purchase BTC without incurring losses. The current BTC prices are comparable to those observed before October 15, 2017. This means that all those who bought the coin after this period can only sell it at a loss. When the BTC reached its ATH of $19k on December 16, 2017. It lasted for two and a half days, meaning only a few people purchased it at that price. In less than a week, the coin was trading at $13,900 per BTC, which is a 56 percent loss compared to the current price. Those who bought the coin when it was selling at $17,600 per coin have lost about 65 percent. BCH reached its highest price on December 20, 2017, when it traded at $4,385 per coin. The prices lasted for less than a day, and those who bought it at this price have made a loss of about 84 percent. Since then, the second highest was observed in February 2018 when on the BCH price reached $3k per coin. Those who bought it at this time can make a loss of about 76 percent if they sell at the current prices. On May 5, 2018, BCH price reached $1,600 per coin and selling at the current price can attract a loss of about 56 percent. The trend is the same when most of other most common coins are considered. 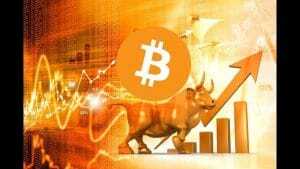 Many Cryptocurrency enthusiasts are optimistic that the prices will recover and even surpass the ATHs observed in December. However, the greatest challenge is determining when the reversal will occur and whether the current prices are at their lowest point. BTH prices have not been below $5,700-$5,900 per. BCH prices have also not gone below $590-$710. Accordingly, some traders see the current prices as the lowest one. However, given that the 2014 bear run was over 12 months while the current one is only five months, some believe that the bear run is not over. What’s agreeable, however, is that the current bear run is less severe compared to the previous years.